It all started in the 1970s. Joe and Cora Castillo have been watching their son Richard perform since the day he picked up a guitar. Rich and his high school buddies got together for impromptu sessions in his parents' garage. The songs that they learned... they learned to play to perfection. They performed them with the excitement and enthusiasm equivalent to their original inspirations. Richard Castillo, Orlando 'Pete' Salazar, Carlos Ibanez, and Tony Diaz first made their debut as musicians 25 years ago. Appearing on Leuzinger's "Slab" as a Beatles cover band called "Seltaeb", they captively wowed the lunchtime crowd. Giving their best harmonies of "Yeah, Yeah, Yeah's" and "Ooooooooo's", they played great renditions of those Lennon/McCartney classics. Beatlemania was alive and well. That was over 25 years ago today when those musicians taught themselves to play. After graduation, those teen heartthrobs went their separate ways. Richard Castillo's love for music continued. With a new band, he plays the songs that never go out of style... and that still guarantees to raise a smile. 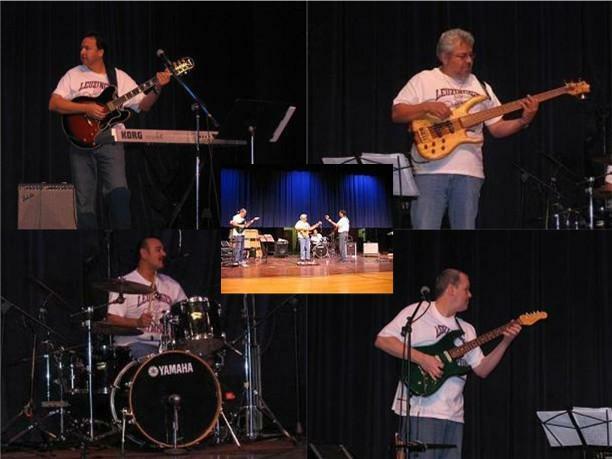 So may I introduce to you, an act that's been around for years... Richard Castillo and The JukeBox 101 Band. Richard and his current band of musicians Tim Burke, Mickey Galindo, and Cali Rosales have a blast and make the rounds performing at local parties and events. During the last several years, they've entertained the crowd back at the place where it all started for Richard... on "The Slab" at Leuzinger's Memorabilia Day. The kids may be into today's current music trends, but these young teenagers still love some of that "Old Time Rock 'N Roll." Rich and the guys really know how to sing, and they play their instruments with great precision and accuracy. Their repertoire includes Elvis Presley's "All Shook Up", The Beatles "I Saw Her Standing There", The Rolling Stones "Satisfaction", The Beach Boys "Surfin USA", The Stray Cats "Stray Cat Strut", The Commodores "Brick House", and The Romantics "That's What I Like About You". If you ever need great entertainment... don't look any further then right here!! !